Really happy with my clubs. just what you need to get started in golf. Getting back into golf after 15 years out, these are the perfect set to find my rhythm again. The price was the deciding factor for me, but for £200 quid you can't go wrong. Great set for beginners. All the clubs required (and arguably a couple more) and surprisingly good quality for the price point. Don't expect excellent finish, there are some wierd things like the text on the wood covers by default is upside down. But there are all small things that don't matter for golfing results. I got these to improve my game used them for the first time today I noticed a difference with my driving with in the first few tee off. More straighter and control. Iron where the same some lost a little distances with them but that will improve with time, as for the PW and SW they made short game a lot better chip in from 60-70 yard with the PW and the SW anything under 20-30 yard was so much better and controlled from a full swing to half swing. If you want to start playing golf or you only used a second hand set and are looking. To buy your first new set I would highly recommend these to you. The carrying bag is comfortable also as I always carry my clubs around a course if you don't believe me try them your self and see if I am wrong. Happy golfing people. 5 stars been a great buy for me. 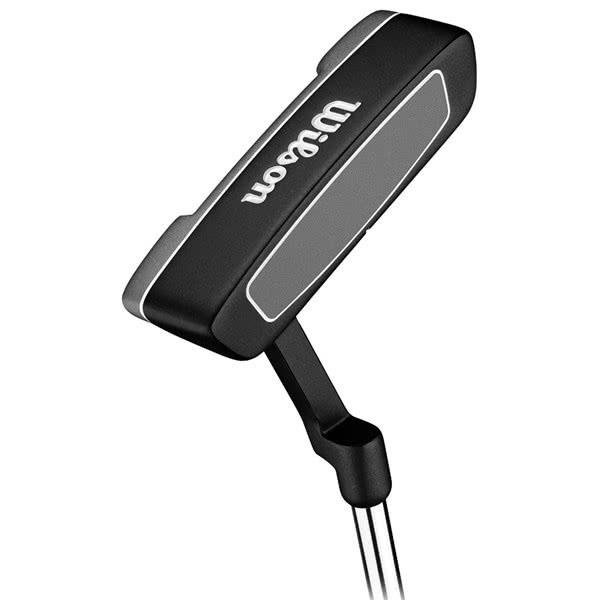 Just wanted other viewers to know, it took me an age to decide what clubs to purchase, I found this site and read a few reviews ! which ultimately swung things for me. Club clubs look great, feel great and are great quality. I have used them once since receiving them 2 weeks ago and have to say I have I hopes ion knocking come shots off. delivery was fantastic ( kept update right until they are at your door ) over all highly recommended and a great buy. Great value for Money. Got all the clubs and irons that a beginner in golf could ask for. The irons - I have played many rounds with "Callaway Big Bertha" irons and I cant find a difference between the two! Very forgiving. The Hybrids - I have never used hybrids before but I must say I love them! 3 Wood - Nice looking, average performance Driver - Probably the worst club I have ever held in my life! Awful! Can hit a 7 iron further off the tee The Bag - Lightweight, easy to carry, but legs don't retract smoothly! Overall I would say I am satisfied with these as it is a great price! 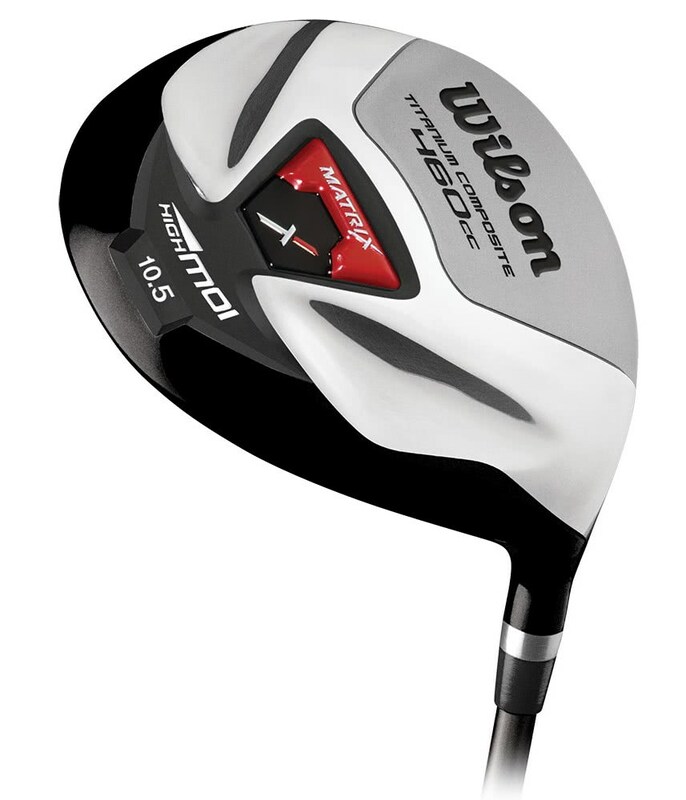 But bare in mind if purchasing you will need to buy a separate driver £50 minimum for a good one! So far I've not tried all the set, but only the putter, 7 iron ,SW,PW and wood 3, however I'm fully satisfied with these clubs. Compare to the one's I% was used to have from the golf club, it makes really the difference. With the PW I won 10 meters, and my ball goes up nicely in the air . The wood 3 is very nice two , I even went once up to 200 meters, should say it was a stroke of luck, but I'm quite confident with it. For this price, including a free hyb4 and cover sheet, it makes that package a very good bargain. As well, Very good oversea delivery !! 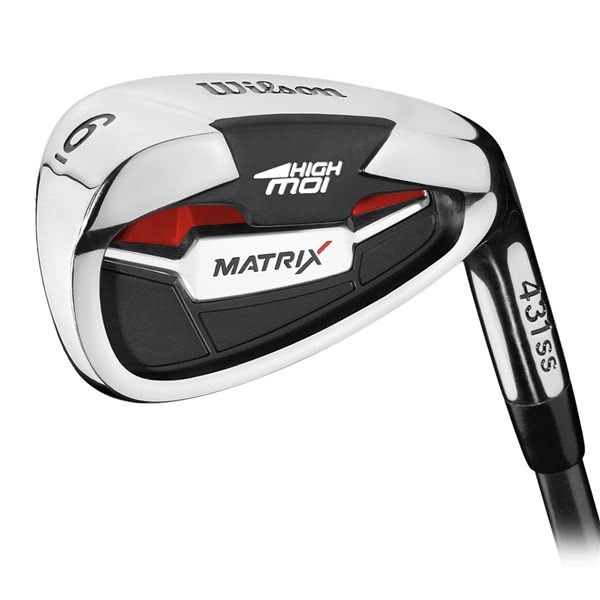 As a first investment in the golf world I found the set easy to get settled with - the hybrids are great and the feedback from the irons have helped to improve my gain and increase confidence. Stand bag legs are sometime a bit awkward, but I have not encountered falling over as some reviews have indicated. I upgraded to these clubs from a SD Dunlop selection. Having shopped around for AGES, I finally settle for these clubs. To be honest, I wasn't expecting great quality or finish, having tried a few more expensive sets out at AG. However, they are far superior to any I looked at and I'm very impressed by every feature of this set. 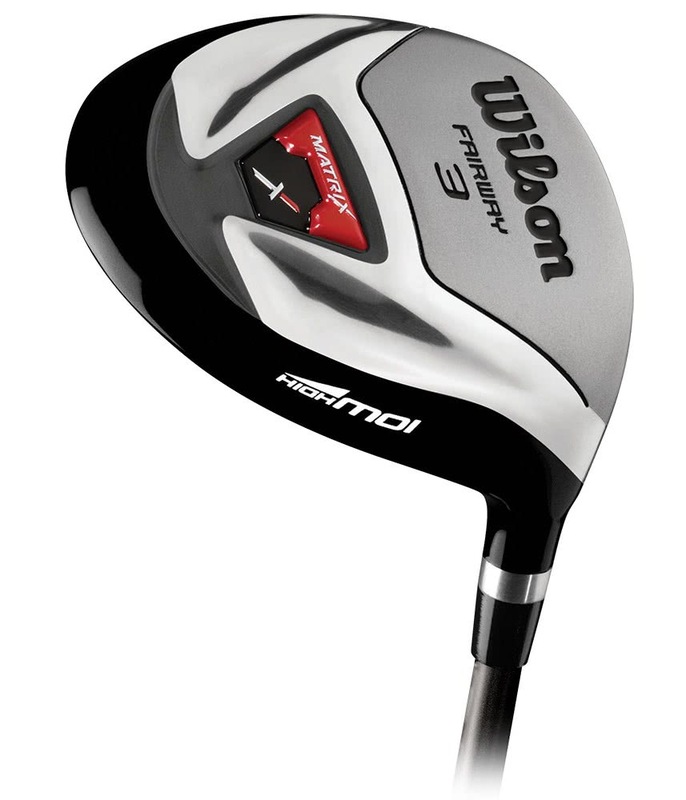 The pictures don't do the product justice, the clubs are amazing value for money and look great. The bag and head covers are far better than expected too.. Over all, I am extremely happy with the purchase and the service provided by Golf Online. I opted for next day delivery and clubs arrived in less than 24hrs. Just waiting for it to stop bloomin' raining now... Scored 3* for forgiveness as not tried yet. This is the perfect starter set for all types. 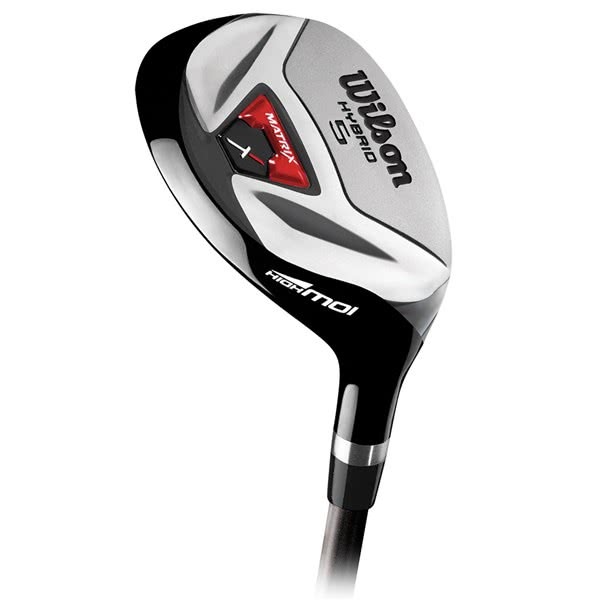 Great quality an finish to the clubs and real value for money. Great package! Coming on leaps and bounds. I play twice and week and have to say that my clubs have been brilliant. From the driver, to the putter, I can hit nice clean shots. When I upgrade, I'll only be changing the bag and the driver as the bag doesn't hold all of my stuff and I recently used a Cobra driver and fell in love with it. The irons are absolutely top notch and I can't see myself changing them until I play off 10 at least. 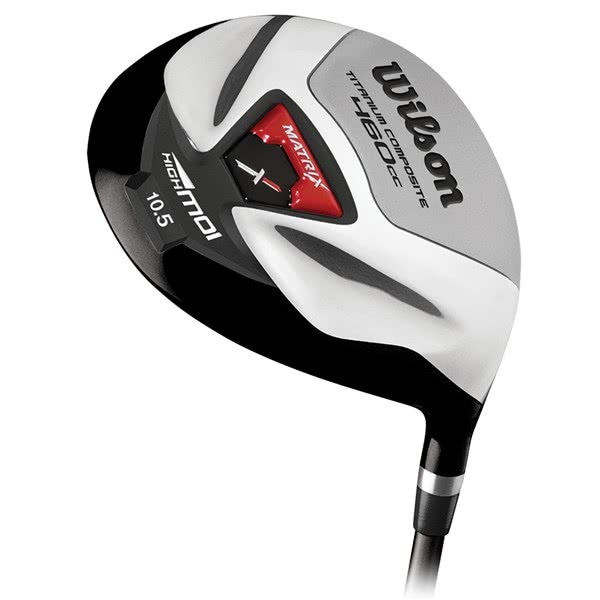 My friend plays with some £700 irons and the Wilson are every bit as good. I've just recently got the hang of the hybrids and it's done wonders for my game. Bought a new set of clubs, and took them straight out on to the range and course, hitting much cleaner from the tee and weight of clubs are superb. Hybrids are a mega club, never used them before but thought I would get a set that included one, but this set when bought came with a free Hybrid 4 - awesome little clubs for the casual player. Bag is made from top quality material. Would recommend this set to anyone, and have already done so. Highly satisfied with this purchase. Easy to play with these clubs. The clubs are a perfect set for my level and are sure improving my game. I am happy to have purchased these and thanks for the gift of the hybrid! 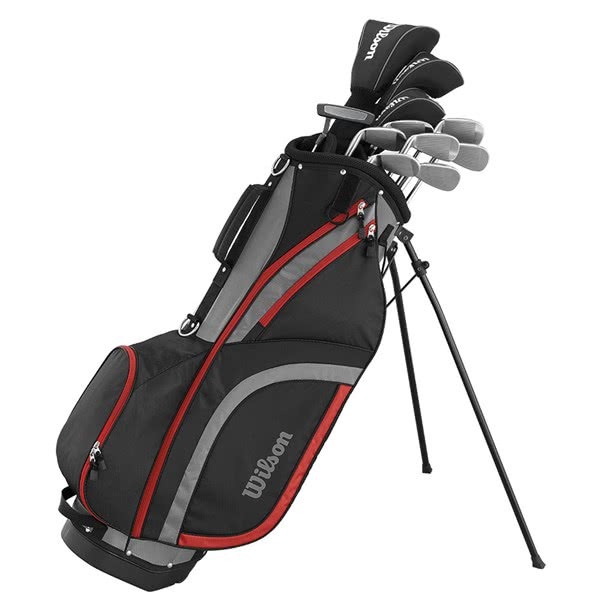 This is an excellent set for both experienced and beginner golfers. Best value for money in my opinion. 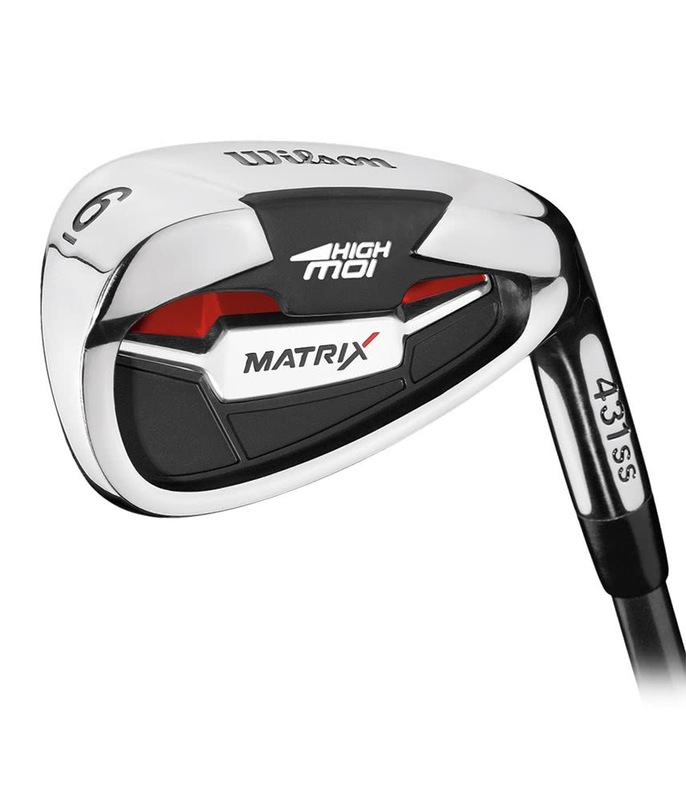 Do not forget the free 4 hybrid which is a great replacement for the hard to use long irons. I have been practicing on the range with this set for about 1 month now and can see the difference it makes. I know my handicap will go down when the season starts. Excellent product. All the clubs you need for a good start at golf. Great Hybrid club. Average Driver. Good putter. Good Bag. Easy to transport. Don't have anything to complain about regarding the clubs. The bag on the other hand... Quite unstable. Falls over all the time. Been really pleased with the set of clubs. Look good and easy to use. Happy to review and recommend. 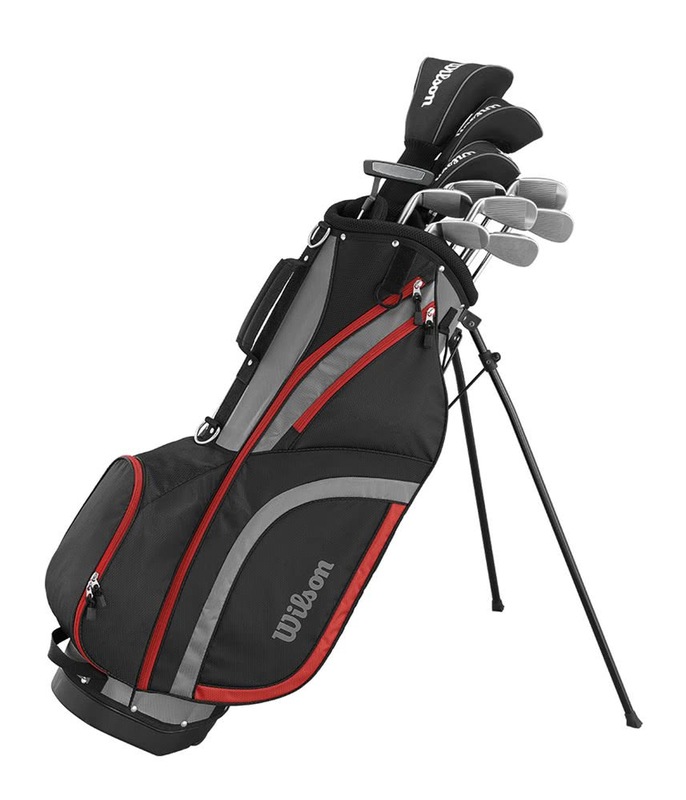 This Wilson Matrix Golf Package Set has been specifically designed to improve the consistency of ball striking, accuracy and distance achieved by a beginner/game improver with moderate-fast swings. This Wilson Matrix package set features a lightweight graphite shaft in the driver, fairway and hybrid to maximise distance with control and accuracy. The irons have been fitted with a heavier steel shaft that will improve accuracy, distance and control. Driver (460cc / 10.5°) - Maximum head size for extreme forgiveness, low centre of gravity for incredible stability that will allow off-centre and centre strikes to perform quite similar. 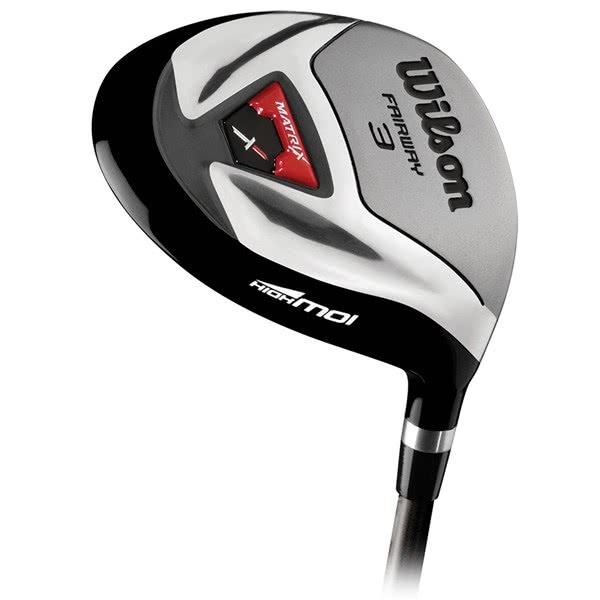 #3 Fairway Wood - Versatile head shape that will help you go for those long par 4’s in regulation with confidence. 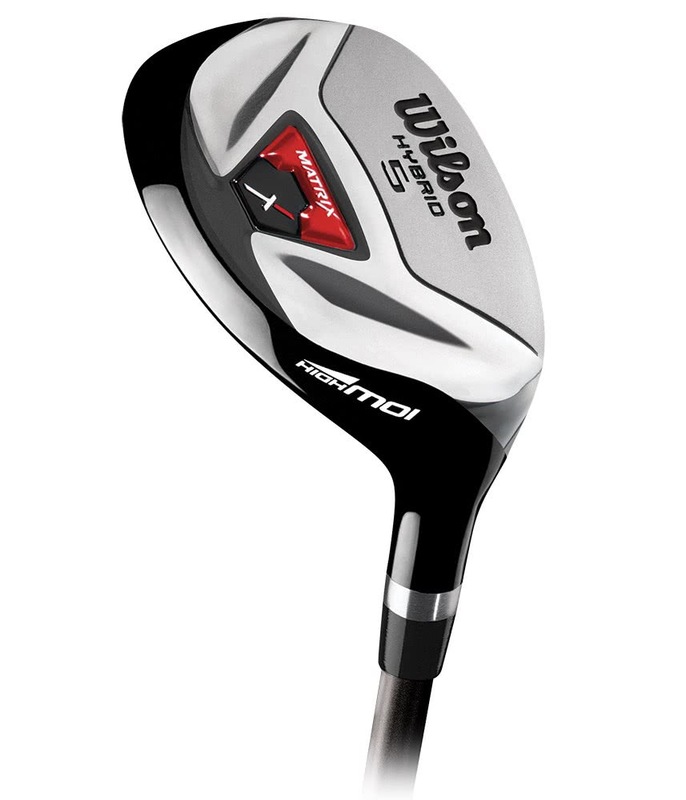 #5 Hybrid - Will add another dimension to your golf game with the club’s versatility. Designed to replace hard to hit long irons, this club will launch high and land soft and can be used from all variety of lies. #6-SW Irons - Traditional oversized cavity backed irons that have large sweet spots to give you maximum forgiveness for incredible distance and accuracy control. 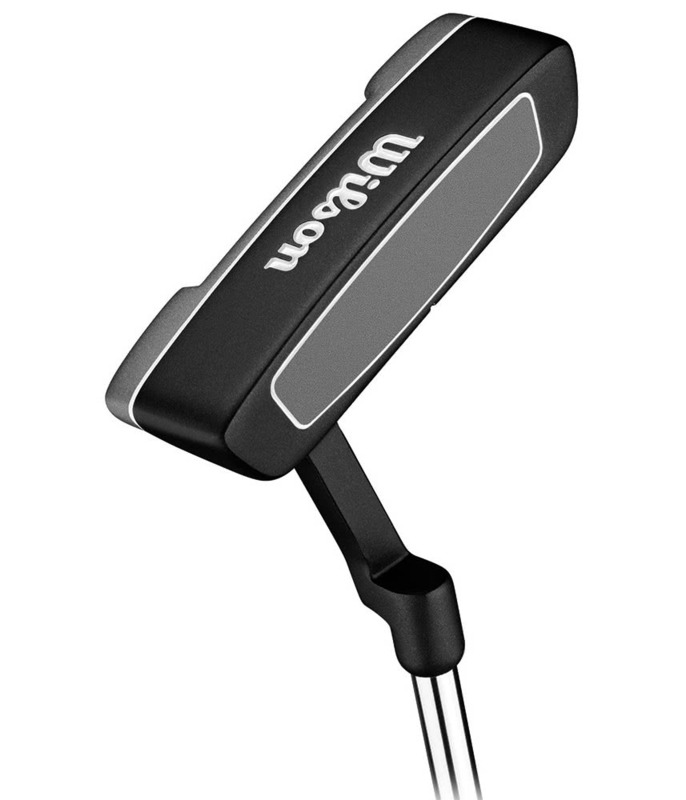 Putter - Will help provide stability, consistency and help you become a very accurate putter with its alignment aid.